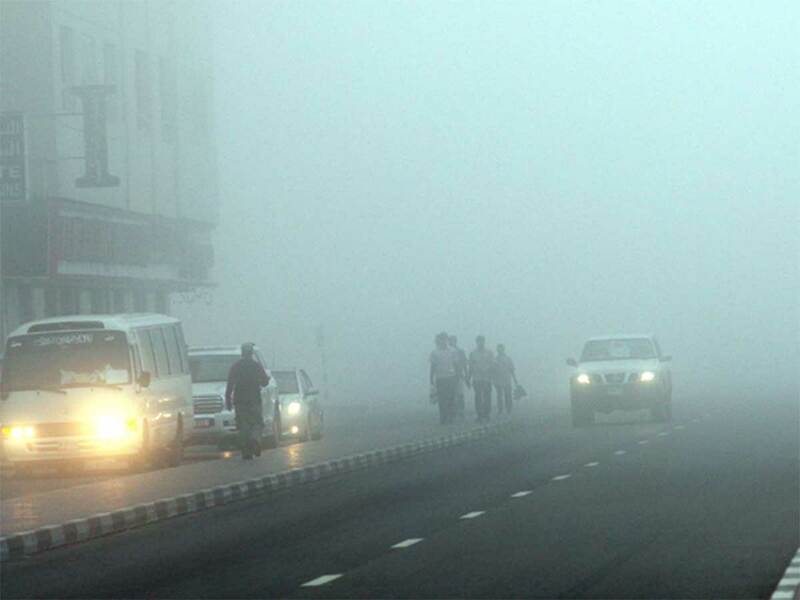 Relative humidity is expected to increase in the UAE on Tuesday and Wednesday, which could give rise to fog or mist. There is a chance of rain in some areas on Wednesday. Data from the National Centre of Meteorology on Tuesday revealed that relative humidity will increase from the 80 per cent range on Tuesday to 100 per cent in Qasyoura, 98 per cent in Mukhariz, while Al Ain will have 95 per cent and nearby areas will be equally humid. Fog or mist may form over some of these internal areas due to high humidity on Tuesday and Wednesday. The rest of the country will be fair to partly cloudy especially at night over the sea and the islands. As clouds form, some areas over the coast such as Dubai and northern emirates might see rain. Visibility might also drop due to Northwesterly winds during cloud activity with speeds of 30km/h to 35km/h, with gusts of 45km/h over the sea. The Arabian Gulf will be moderate to rough on Tuesday while the Oman Sea will be moderate. Both, however, will be rough by Wednesday with wave heights reaching 6ft to 8ft.